Crawl space insulation is critical to keeping heating and cooling costs down. However, the insulation material needs to be in good shape to work well. When rodents or other critters gets into the crawl space, they can open large holes in the insulation, rendering it ineffective. When insulation has been destroyed by animals or insects, The Killers Crawl Space Restorations is the go-to company for insulation replacement in Portland. 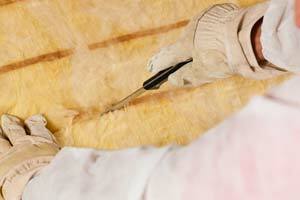 Insulation works by eliminating air flow between the inside and the outside of a building. This means that when your heat is on in the winter, the crawl space insulation holds that warmth in and keeps cold air out. This “stack effect” works as a barrier, keeping the outside air from affecting the inside temperature. Heated or cooled air put out by your home’s heating and cooling system naturally moves toward large spaces, such as the garage, attic, and crawlspace. This creates more work for your heating and cooling system. Good insulation stops the escape of the acclimatized air from your home. When The Killers inspect your crawl space, we consider the big picture. If old insulation has been destroyed by rodents who live in, urinate on, and sometimes die in the crawl space insulation, we will remove damaged insulation and clean the entire area. Once a crawl space is clean and prepared for insulation replacement, our experienced technicians will install insulation evenly throughout the whole crawl space. We expertly seal each crevice, making sure there is no room for air to leak through. No matter the problem and no matter the extent of the damage, The Killers Crawl Space Restorations is the only call you need to make. We do insect elimination as well as raccoon, possum, and rodent removal. We also scrape away and treat damage done by mold and mildew. 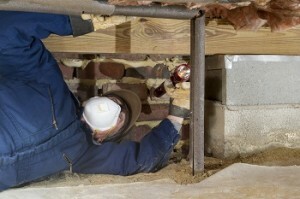 We do full-scale crawl space repair—including rebuilding areas where the crawl space has decayed. If you have a damaged vapor barrier, our technicians will do a vapor barrier removal. From there, we replace insulation and install a new vapor barrier. With over two decades of experience in pest control and crawl space restoration, The Killers Crawl Space Restoration has a built a stellar reputation. So much of our business comes from satisfied, repeat customers and word-of-mouth referrals. We genuinely care. Our work is guaranteed, our prices are fair, and our experience cannot be beat. 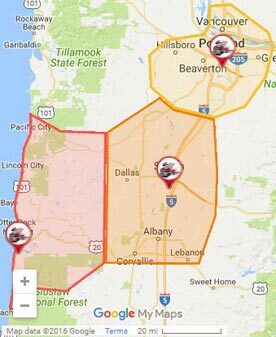 Contact us today to schedule your insulation replacement or crawl space inspection in Portland OR.